High performance plus extended mileage. The X-M version will deliver 15%-20% extra mileage compared to the current Storm range. 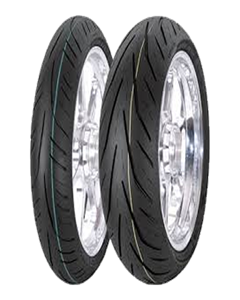 High performance single and multi-compound super rich silica tread enhances wet grip (SRS). Superb handling and stability characteristics. Typical fitments: Suzuki Hayabusa, Honda Blackbird, Kawasaki GTR1400, Suzuki GSX1400.